What do people usually do on their honeymoons? Before you answer, let me tell you what journalist Maggie Ritchie did; she found the inspiration for her first novel – and no, it wasn’t 50 Shades of anything. 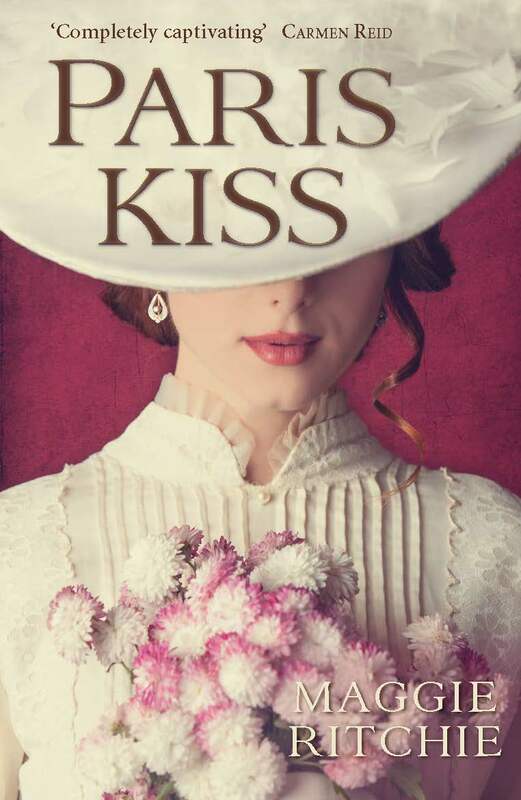 Paris Kiss tells the story of Camille Claudel and Jessie Lipscombe, two young sculptors in Bohemian Paris in the 1880s, and of Camille’s affair with their tutor, Auguste Rodin. At the Central Library recently Maggie’s discussed her debut with husband Mike, also a former journalist; unsurprisingly, Mike began by asking Maggie that question on everybody’s lips – just how had she been able to concentrate on the book during what was supposed to be the most romantic trip of her life? Maggie had never been to Paris until she went with Mike; bowled over by it all – the people, the style, the ‘insouciance’ – she particularly enjoyed visiting the Musee Rodin. 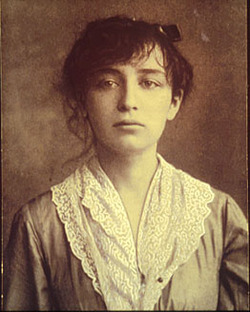 There she was drawn to a room of Camille Claudel’s work, and soon hooked by the story of this gifted, wild woman; who was Camille Claudel? And why had so few people heard of her – and even fewer heard of Jessie Lipscomb – whilst their teacher had achieved international fame? She certainly isn’t in Peterborough any more. Soon Jessie is enmeshed, a pivotal part in the risky and complicated relationship between Rodin and Camille, loving Paris, loving her friends, but increasingly oppressed by their demands and by her own affairs of the heart (she has a fiance back at home, a new admirer in Paris, and a dilemma that still resonates for many women today). Once Maggie decided to investigate Jessie’s story, she was delighted to find that there were strong links between Rodin and Scotland – indeed to her own home city of Glasgow. 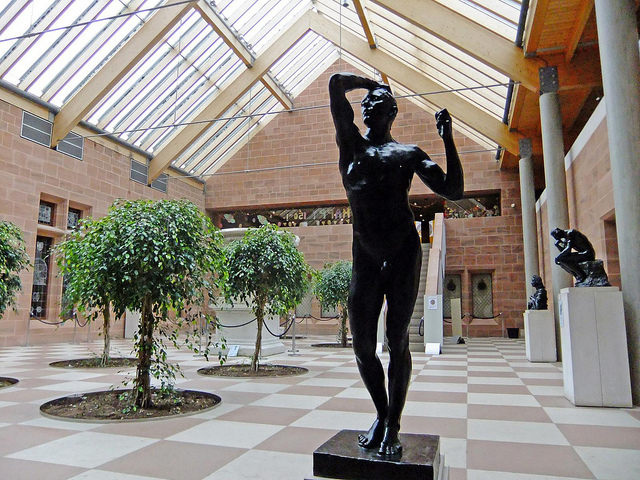 The Burrell Collection, Kelvingrove Gallery and Hunterian Museum all have Rodins, brought to the city by Alex Reid, a dealer who supplied art to wealthy sugar and tobacco merchants at the end of the 19th century. 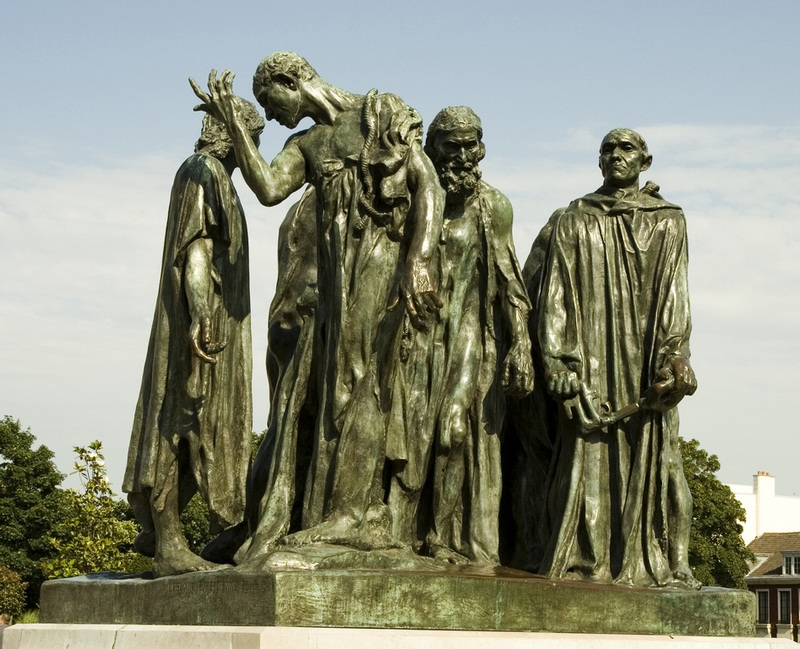 At that time Rodin was ignored in London and Europe, but Glaswegians liked him so much that the university even gave him an honorary degree. The facts of the story are certain, but how, asked Mike, did Maggie research the characters? 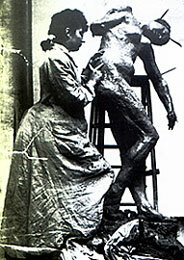 Whilst there are many biographical works on Rodin, who is described as ‘charming but exacting’, and some material about Camille (Bruno Nuytten’s film Camille Claudel and the publication of several books about her in the 1980’s revived interest in her work), there is almost nothing about Jessie; she had suffered the fate of so many female artists and been forgotten. A PhD student’s thesis provided some hard facts, but little about the woman; Maggie had to flesh her out and imagine her life as a single woman in man’s world. Maggie wrote the book from Jessie’s viewpoint rather than Camille’s to give a different slant on the story and let readers see Paris through the eyes of a newcomer; it was also easier for her to enter the mind of a middle-class Englishwoman, although in retrospect she feels it might have been easier to write in the third person. Maggie not only researched the characters on paper; a friend happened to be a marble sculptor, so she was able to visit him and try sculpting for herself. 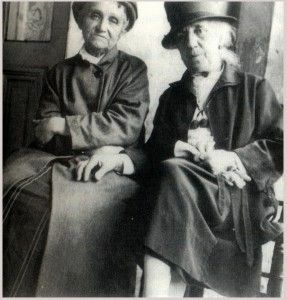 The studio was cold and dusty, the marble felt as though it would break in her hands; Camille and Jessie had worked in these conditions in full Victorian dress, eventually sculpting the hands, feet and clothes for Rodin’s famous work The Burghers of Calais. Jessie visited Camille in the Montdevergues Asylum but was never able to persuade Paul to have her released. Camille died there in 1943; her remains were buried in a communal grave. 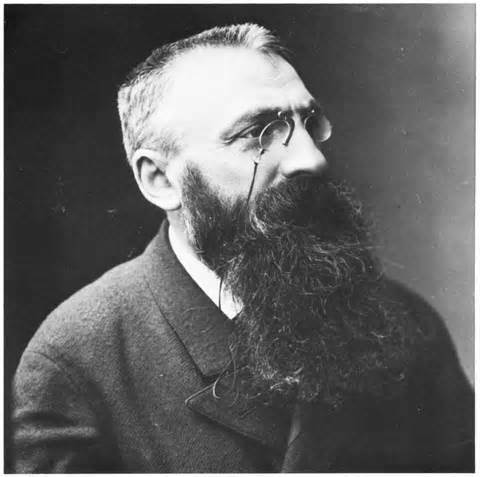 Despite his many affairs, Rodin married his partner of fifty-three years, Rose Beuret, in January 1917, just two weeks before her death. Rodin himself died later that year. ‘When Camille was making works of genius, I was totting up grocery bills, soothing fractious babies….I remembered the sharp tang of lemon cologne, the golden sunlight of a Paris afternoon. And I wept for us all, for Camille, for Georges, for myself’. Paris Kiss is published by Saraband. 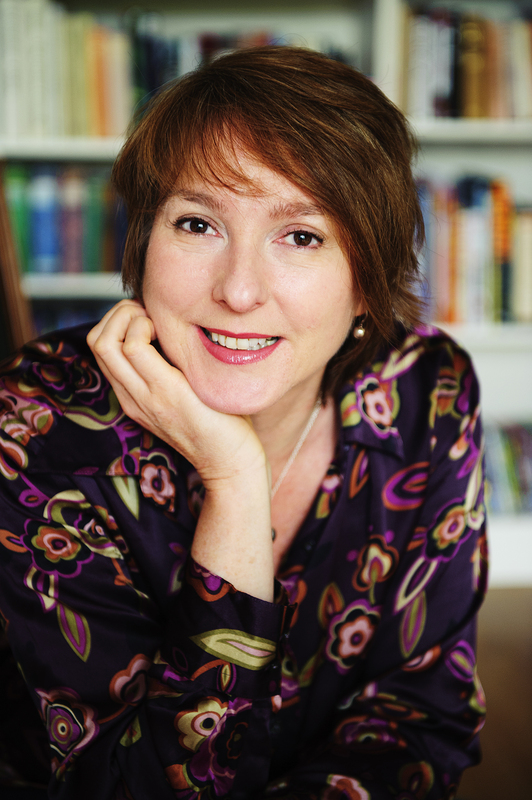 Maggie Ritchie won the Curtis Brown Prize in 2012 and Paris Kiss was longlisted for the 2014 Mslexia First Novel Competition. 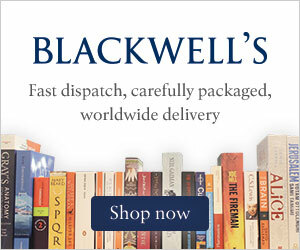 In her next book Maggie is moving away from Europe to tell the story of an Englishwoman whose affair with an artist in 1970’s South Africa has cataclysmic results; she is already planning the third, which will see a return to the 19th century and female artists, this time in Scotland and China. This was the first in a new series on debut writers at the Central Library; look out for more – or subscribe to Edinburgh Libraries’ monthly list and find out about all of their excellent events.